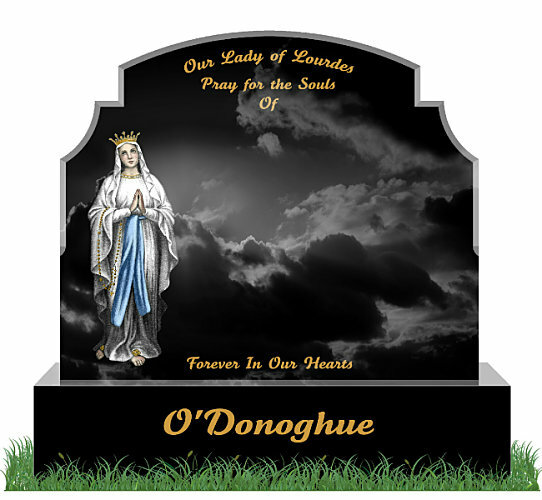 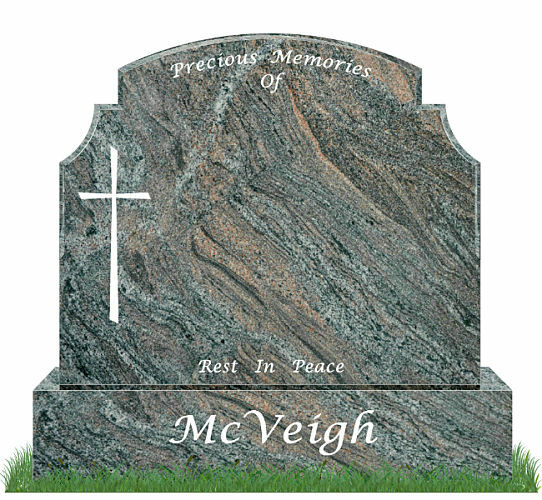 Our Traditional Headstones are most commonly found throughout Irish graveyards. 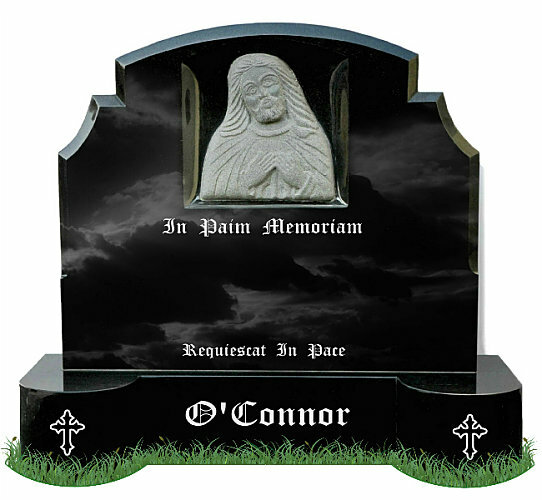 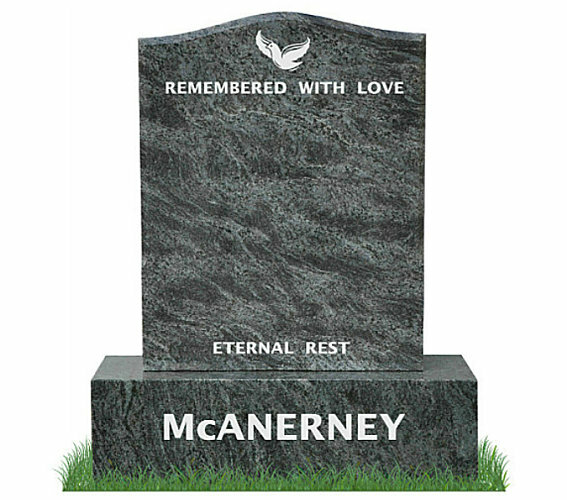 These traditional headstones are still recognised as standard Irish gravestone designs which are conservative in shape and simple in design. 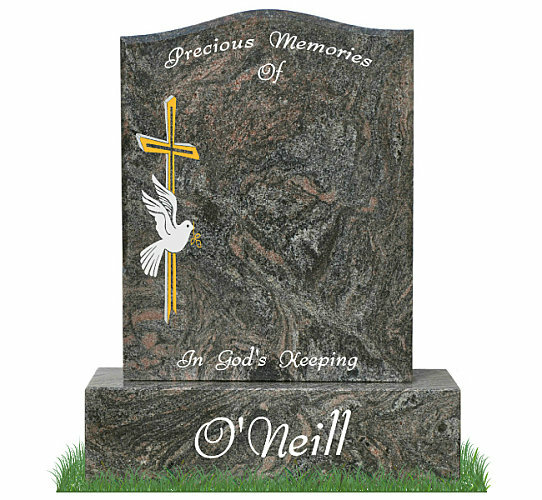 Traditional sacred images in stone can be engraved to any of the designs shown here along with your own preferred headstone inscriptions. 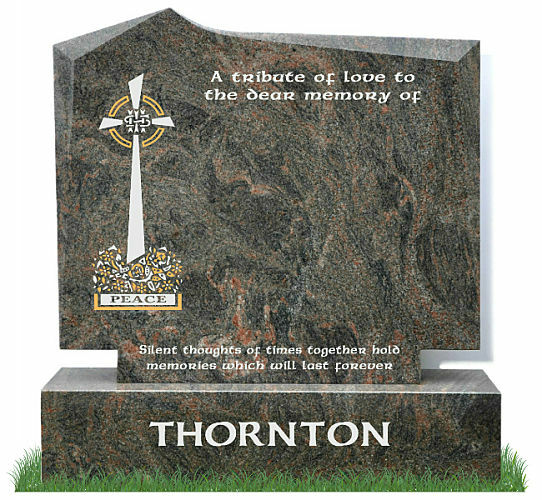 To receive a price for any of our traditional headstones complete our headstone prices contact form or call a member of our staff for more information. 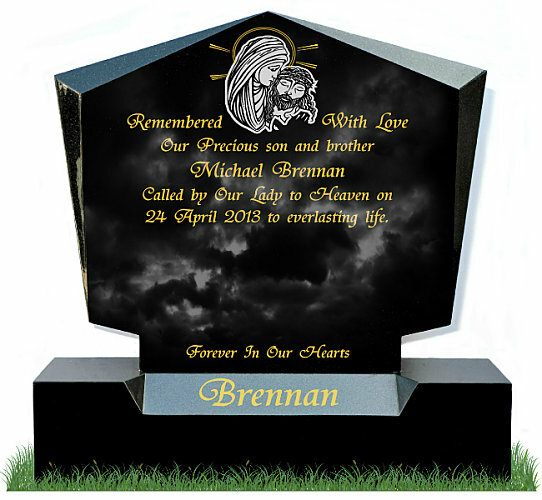 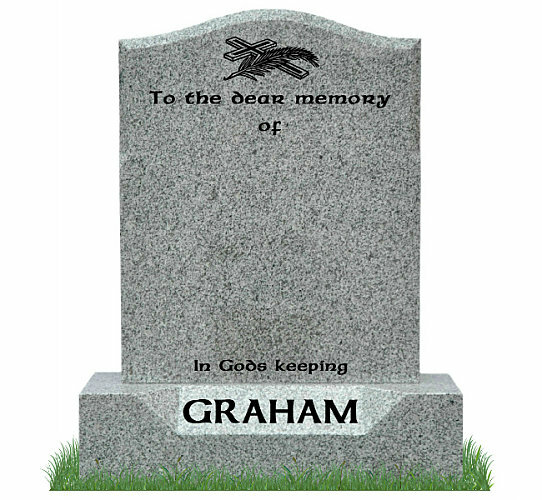 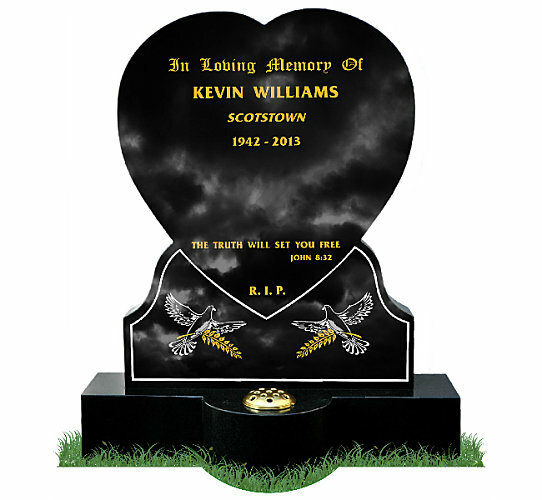 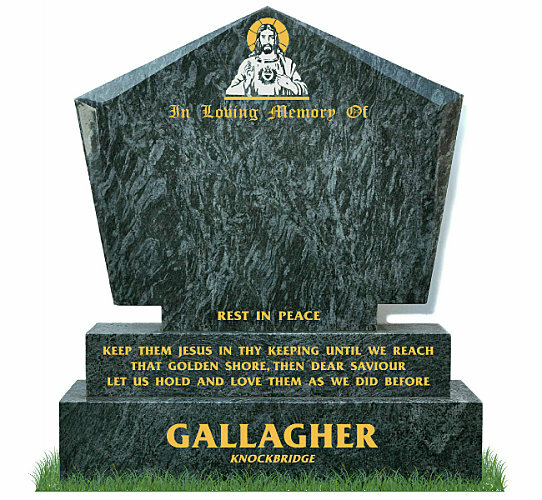 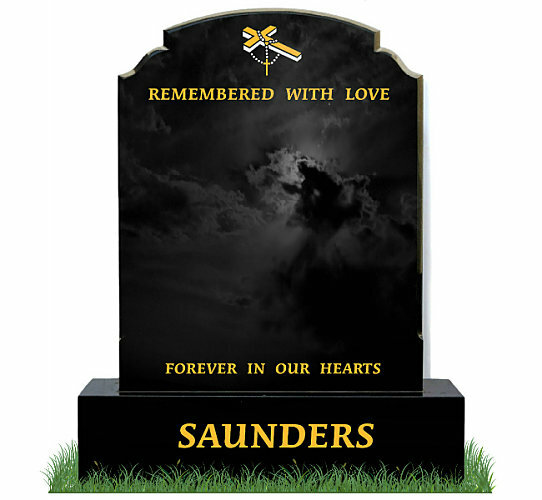 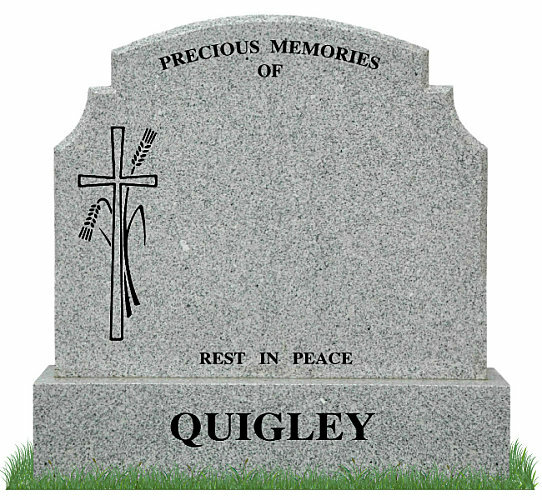 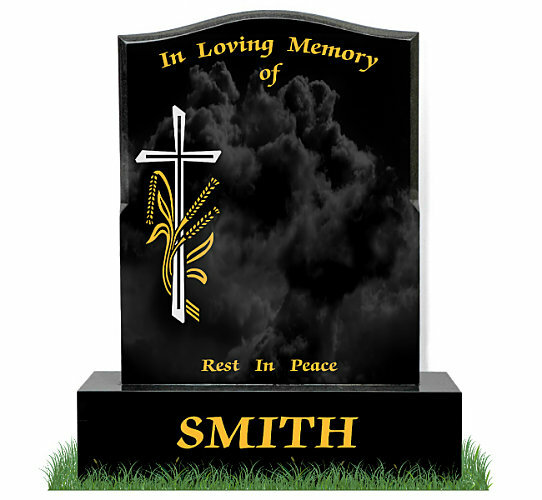 To receive a price for any of our headstones, simply fill out our headstone prices contact form. 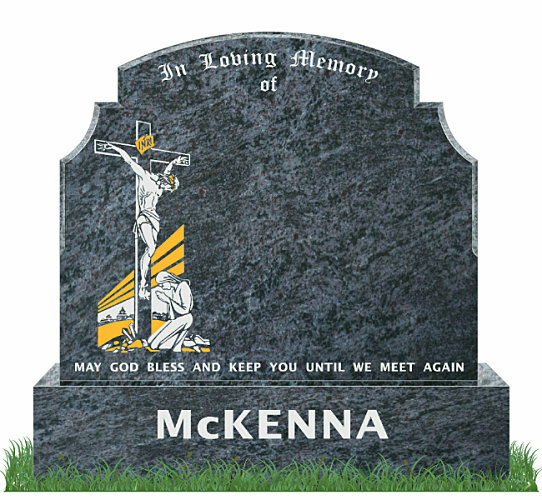 Please include the reference number shown below the headstone along with your preferred color, number of names to be engraved and state whether you require a matching grave surround for your headstone. 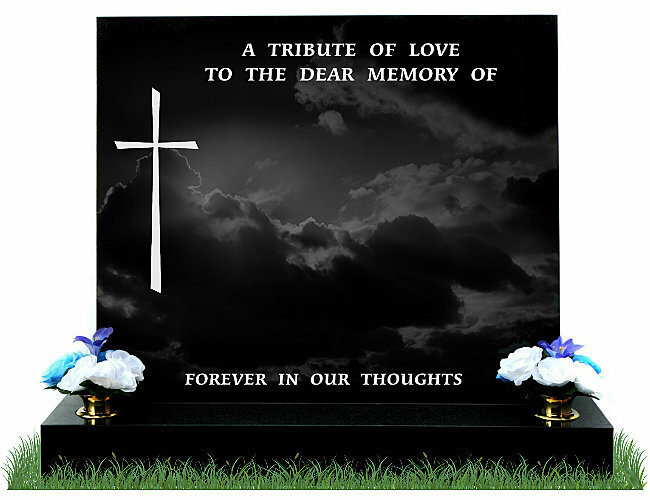 Please add any extra details along with a short message and our team will get back to you within 24 hours with your price.